Thinking of training with mine more to use it as my carry weapon. What holsters do you guys use? Also, I’ve google imaged searched a few holsters and almost all of them, the gun didn’t have an ambidextrous safety on them. I assume this is to eliminate it getting snagged on your clothing. Anyone else carry this way? 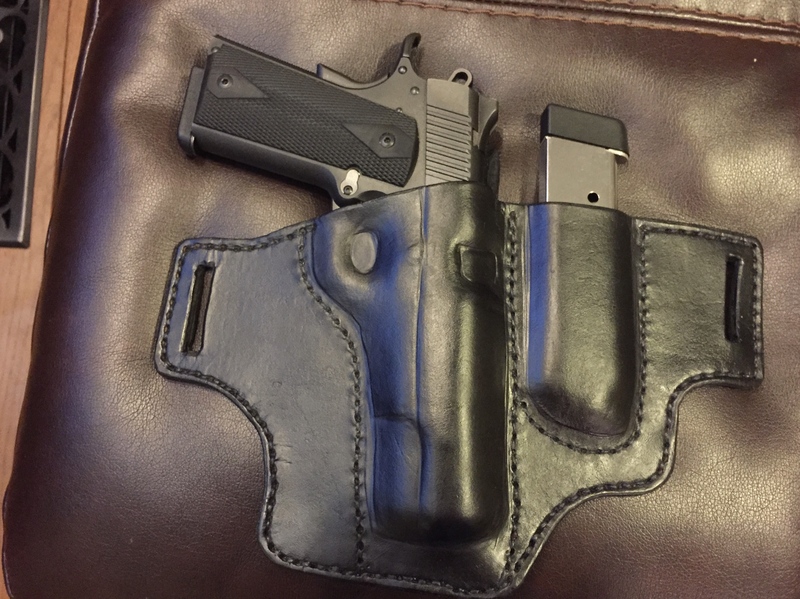 I when I carry my 1911 I use a savoy leather holster. 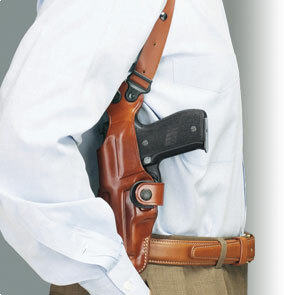 I have been extremely pleased with the quality and function of this holster but I don’t have an ambidextrous safety. Alien gear iwb holster. Very comfortable. A friend of mine built a ‘Commanding Officer’. It it a Colt Officers Model with a Commander slide. Really neat piece. That would be the CCO (Concealed Carry Officer). Springfield Armory makes a similar model they call "Range Officer Compact". I see yours doesn’t have an ambi safety. Reason? By the way, mine is a full size RIA. ETA: what holster is that? did your gun come that way or is it a preference? I'm right handed so an ambi safety is unnecessary; unless one needs the ambi safety, it just serves as something for the gun to potentially snag on during the draw or be deactivated if it rubs against something. The holster was made by Woolfe Gunleather, but he's no longer making holsters. There are a lot of similar inside the waistband holsters using two clips (or loops of leather) that can be tucked. Sideguard Holsters, R. Grizzle Leather and T&T Gunleather are some companies I've been happy w/. I have a para ordinance Commanders size in .45 that I really like. I think it has an ambi-safety but it has never been an issue with snagging. I have an IWB that I will carry it sometimes and will also carry my Delta Elite rarely but it is really too heavy. Custom made leather. Carries real nice. And before anyone asks while carrying it will be locked and loaded. Not sure why it did not work the first time. how do you guys feel about the series 70 vs series 80? i didn't even know what it was until i watched a few youtube videos. turns out, my RIA is a series 70.